Last Thursday, Seattle’s Mayor Michael McGinn wrote an impassioned protest for Huffington Post that lays out the arguments against Harvard’s stance, but it was surely no surprise to anyone. Harvard has a history of withstanding divestment movements, refusing to join even the anti-Apartheid divestment until ten years after protests began. A few weeks before the divestment rejection, I had received another email from Harvard, the transcript of a speech by President Faust announcing a $6.5 billion capital campaign. Even more damning than Harvard’s failure to signal its support for an end to fossil fuels was its omission of climate change in its plans for the future. Faust spoke eloquently answering the question, “What institutional commitments will we make to define who we are and who we will be decades and centuries from now?” She names Harvard’s priorities as genomics, imaging, nanotechnology, big data, computation and “forging of new connections and crossing traditional boundaries” required by digital privacy, bioengineering and understanding and alleviating ethnic and sectarian conflict. How could there be absolutely no mention of climate change? Surely this issue is more critical to life as we know it than nanotechnology or digital privacy. The fossil fuel industry and its owners give big, and their influence is pervasive. Just one example: David Koch, the climate change denier/coal and oil baron, a graduate of MIT, has given $185 million to his alma mater. Harvard’s campaign was kicked off with Bill Gates, suggesting that the computer industry might be its primary target. But Harvard’s campaign is too big to risk alienating its largest donors from any sector. It seems Harvard’s anti-divestment decision might be simply put, a practical fund-raising strategy. But the school is missing an even bigger opportunity. 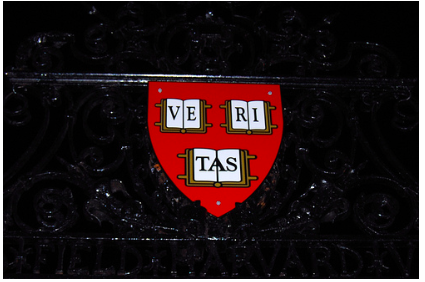 To quote the Harvard Political Review, “Divestment…would signal that America’s universities take the climate-energy challenge seriously.” And what better institution to lead America's universities than Harvard? Another missed opportunity: Harvard could be raising capital to address the most intransigent, complex and compelling challenge of all, climate change. Bill Gates is more excited about it these days than computing. His big bet, TerraPower, is a nuclear energy innovator. Imagine if Harvard put all of its might behind “forging of new connections and crossing traditional boundaries” to solve the climate crisis. It might be the best fund-raising strategy of all. Michael Bloomberg has given his alma mater John’s Hopkins a total of $1.1 billion for cross-disciplinary work, part of that specifically on sustainability. Surely there are other environmental advocates out there among the 52 billionaires who are Harvard graduates. Maybe it’s time for Harvard to rethink its strategy. 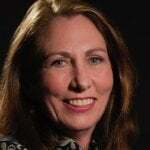 Carol Pierson Holding writes on environmental issues and social responsibility for policy and news publications, including the Carnegie Council's Policy Innovations, Harvard Business Review, San Francisco Chronicle, India Time, The Huffington Post and many other web sites. Her articles on corporate social responsibility can be found on CSRHub.com, a website that provides sustainability ratings data on 8,400+ companies worldwide. Carol holds degrees from Smith College and Harvard University. CSRHub provides access to corporate social responsibility and sustainability ratings and information on 8,400+ companies from 135 industries in 104 countries. By aggregating and normalizing the information from 270+ data sources, CSRHub has created a broad, consistent rating system and a searchable database that links millions of rating elements back to their source. Managers, researchers and activists use CSRHub to benchmark company performance, learn how stakeholders evaluate company CSR practices and seek ways to change the world.